In celebration of spring (and being one of the healthiest counties in NY), we created this interactive Google Map of parks, playgrounds & recreation areas all over Saratoga County. While we’re all excited for the warmer weather, keep in mind that black fly season is from Mothers’ Day through Fathers’ Day! They’re most active in the hours just after sunrise and just before sunset, so try to plan your activities for the middle of the day. They lay their eggs near rivers and streams, so you may want to stick to paddling around ponds and lakes during this time where the wind keeps them at bay. Consider wearing light, long sleeve layers or nets, and have fun! Tap/click on a pin to learn more. Peaceful trail loop with kayak access to Kaydeross Creek. Iron Spring Park houses the famous Iron Spring mineral waters, discovered in 1771 – “America’s first watering place.” The village-maintained spring is open for visitors to enjoy and drink. A popular put-in is just north of NYS Rt 87 Exit 13 on Route 9 at the pull off area between the north and south lanes of Route 9.Kayaderosseras Creek Paddle is a 6.5 mile lightly trafficked point-to-point trail located near Ballston Spa, NY that features a river and is rated as moderate. The trail is primarily used for canoeing and is accessible from April until October. Playground, fishing and picnicking, skateboard park, softball fields, and a kayak/canoe launch. Located on Low Street, Veterans Park pays tribute to the mean and women who made the ultimate sacrifice defending and protecting the freedoms we cherish. 60-acre preserve on Route 67 and Middle Line Road with picnic tables, a gazebo, trails and a parking area. Located on Front Street in the center of the Business District, Wiswall Park is the site of a variety of activities, including summer concerts, farmers’ markets, ice cream socials with the Union Fire Company Band, and the annual Victorian Christmas celebration. Located on Rowland Street, just north of the Village, Woods Hollow is a 130-acre passive recreation park to be enjoyed for fishing, hiking, jogging, skiing, and nature trails. Newer, 246-acre park near the intersection of Route 50 and Middle Line Road with a nature preserve, walking and hiking trails. Access to bike trails and fishing pier. Lots of parking, and path leading from lot, across the street to lake access (see images in map). Small park located on Jenkins Road in Burnt Hills in the Town of Ballston. This property has a playground area for young children consisting of a swing set, merry-go-round, slide, see-saws, a fire truck climber, giraffe climber, jungle gym, three ride-on toys, and a large sand box. There is a horseshoe pit area, a pavilion with four picnic tables, and three additional picnic tables in the playground area. There are two ponds for fishing in the spring and summer, or ice skating and hockey in the winter. The small hill is a popular gathering place for winter sledding and amateur snowboarders. There are many trails throughout the park for hiking and/or cross country skiing. There are two baseball fields, a basketball court, and open spaces for passive recreation. Six-acre public riverview preserve with awesome view of the Mohawk River. Plenty of parking at the start of the trail too. 80-acre nature preserve in a woodlands area with a pond, stream & trails, plus boardwalks & benches. Great place to go on a quiet walking with beautiful views of nature. Kinns Road Park is a county forest area of approximately 64 acres located at 625 Kinns Road in Clifton Park, NY. Kinns Road Park offers mainly passive recreational opportunities including hiking trails and picnic areas. This park has beautiful wooded trails that are use year-round for hikers and orienteers. In the spring and fall, the trails give good access to birding areas. During the winter, the trails are groomed for cross-country skiing. There is a small parking lot at 625 Kinns Road that offer three access points into the tail system. Vischer Ferry Nature and Historic Preserve is a 600-acre preserve which includes the area between Riverview Road and the Mohawk River in the Town of Clifton Park. The Preserve has three areas of interest: a wetland ecosystem, the remains of the Erie Canal, and the site of the town’s first settlement. There is a small parking lot at the Whipple Bridge at the intersection of VanVranken and Riverview Road. Places along the Hudson River north of Lake Luzerne where locals swim and tube in the river. River Road parallels the Hudson here so you can leave a car just north of Lake Luzerne (there is a canoe takeout and a parking area there) and float down the river in tubes or come down in a kayak or canoe. There are lots of sand bars where you can stop if you bring a lunch. NOTE: There is a falls downstream here called Rockwell Falls – be sure you know where it is before floating this section so you don’t go over it. To get here from RT 9N going north in Lake Luzerne, take a left (west) on Bay Road (a traffic light just after Cumberland Farms). Bay Road turns into Main Street and if you follow it straight to it’s end it turns (north) right into River Road. Follow River Road up the Hudson River about 3 to 4 miles and you can get into the river for swimming almost anywhere. Enjoy flatwater paddling on this beautiful remote section of the Hudson River. This 5.5 mile reach of the river is now part of Moreau State Park. Access is limited to a public boat launch off of Spier Falls Rd. There are dams at both ends of this section providing an excellent flatwater destination only 20 minutes from downtown Saratoga Springs. Grab your fishing pole and try to hook a muskellunge, a challenging species to catch. Directions: Travel north on Rte 9 out of Saratoga Springs (Rte 9 runs parallel to I-87). Continue north on Rte 9 for 6.5 miles from Rte 50. When you come to a traffic light make a left onto Corinth Mountain Rd (Rte 101). This road turns into Wilton Mountain Rd. Make a right onto Spiers Falls Rd when you come to a stop sign and a T intersection. Continue down the hill to the boat launch on the left. The newly re-routed Spruce Mountain Trail, located roughly 20 minutes north of Saratoga Springs in the Town of Corinth, is a 2.5 mile hike leading to the mountain’s summit and historic fire tower. The trail can be considered a moderate to difficult hike and leads hikers primarily through both old growth and recovering forests. Spruce Mountain is one of twenty-three mountains in the the Adirondack State Park that have fire towers atop them. The 73-foot fire tower is currently undergoing restorations by the DEC and will be open to the public in the near future. The top of the tower offers amazing panoramic views of the southern Adirondacks, Hudson River, across and the Vermont border into the Green Mountains, and of southern Saratoga County. This trail is open to the public for nature study, walking, snowshoeing, and cross-country skiing. Please carry out all your trash and leave only footprints. Directions: From Saratoga Springs, NY, head north on Route 9N towards Corinth. Shortly after passing through South Corinth take a left on Wells Road. After a few miles, Wells Road comes to a T-intersection. A right at this intersection puts you on Spruce Mountain Road (not signed) just a few hundred yards down this road there will be a dead end sign. Pass the gate entrance to the fire tower access road on the left and proceed to the parking area. Over 12 acres with a Pavilion, restrooms, tennis and basketball courts, soccer fields, a softball field and walking trail. Don’t forget the Greenfield Farmer’s Market sponsored by the Greenfield Historical Society Friday afternoons from 4:00 – 7:00 pm. Four miles round trip, fire tower, well-maintained, easy hike, 2.5 hours est. The wide trail takes you to the ridge of the West mountain range. You then turn right and head North to the summit. Shortly before reaching the summit, you will see the old fire observer’s cabin (now used by the summit steward). The fire tower is open, but good views can be had without climbing it. The Great Sacandaga Lake is the body of water to the South. Directions to trailhead: From Saratoga, take Rte 9N going north. When you reach the village of Lake Luzerne, turn left at first light onto East River Drive. Turn left onto Bridge Street. Turn right onto Stony Creek Rd (CR1). After 3 miles, turn left onto Hadley Hill Rd. Continue for 4 miles. Turn right onto Tower Rd (gravel road). The parking area is on the left after 1.5 miles. Completed in 2010, this park is centrally located in the center of Town and offers both forms of passive and active recreation. Community events including concerts and festivals are also held here. Features: Stone dust walking trails, exercise equipment, playground, baseball fields, event stage, clubhouse, public bathrooms, and paved parking areas. Basketball court, historic structure & picnic area open to the public 7:30 AM to sunset. Pets OK on a leash. The Malta Ecological Park was developed to protect the site’s abundance of natural resources, including extensive wetland areas. Trails and boardwalks lead to areas to view and interpret nature in its natural setting. Leashed pets ok.
Over 12 acres of space to enjoy. With a Pavilion, restrooms, tennis and basketball courts, soccer fields, a softball field and walking trail. Don’t forget the Greenfield Farmer’s Market sponsored by the Greenfield Historical Society Friday afternoons from 4:00 – 7:00 pm. This park offers baseball & softball fields, tennis & basketball courts, sand volleyball court, pavilions, and two playground areas. No dogs except service dogs. Moreau Lake is surrounded by a sandy beach, camping and picnic grounds, hiking trails and beautiful scenery of forests and tree landscape. Open year round. The beach is open for swimming from Memorial Day weekend through Labor Day. 10 am – 6 pm, daily. Considered “the backbone” of an emerging network of trails in Saratoga County, the Zim Smith Trail, sometimes called the Zim Smith Mid-County Trail, connects the towns of Halfmoon, Round Lake Village, Clifton Park, Malta and Ballston Spa. This out-and-back rail-trail’s beautiful natural setting and informative signage invite visitors to appreciate the importance of wetland habitats. 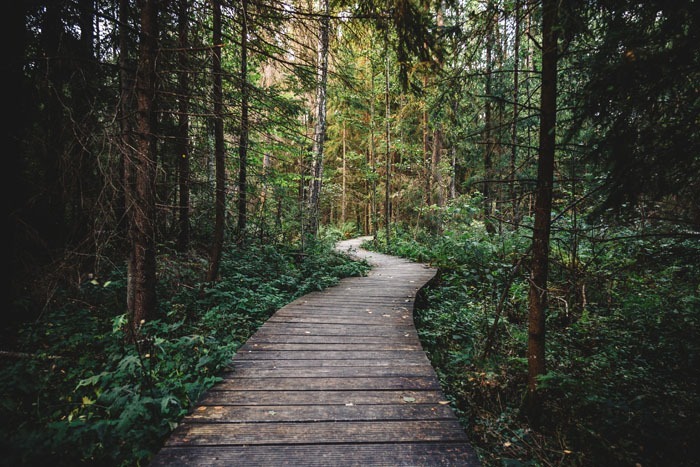 Located just east of downtown Saratoga Springs, the trail allows you to observe and learn about three distinct types of wetland: open marsh, wet meadow (with grasses, shrubs and small trees) and forested wetland (lush with moss and ferns among the trees). Kids may want to bring a fishing pole and drop a line from the bridge. Though not officially a NYS State Park dog facility, the Saratoga dog park is maintained and owned by them.You can bring your dog to play at the dog park in Saratoga 7 days a week from 6:00 am-9:00 pm. East Side Recreation Park has the Jim King Baseball field, the Benny Fasulo baseball field (lighted), the Beau Kilmer Football field (lighted), 4 Little League fields, 1 handball court, 6 tennis courts, 1/4 mile Jogging Track (paved), Outdoor Skate Park (hours vary), and 3 basketball courts. There is also a great shaded playground area with an interactive spray fountain, picnic tables, and playground equipment. Does have bathrooms. The City of Saratoga Springs owns Veteran’s Memorial Park (formerly Geyser Park). The fields are scheduled by the Recreation Department and maintained by the Department of Public Works. General hours of operation for outdoor recreation fields are Dawn to Dusk. Veterans Memorial Park includes a playground area, Interactive Spray Fountain, the Ed Valentine baseball field, 4 Softball fields, 2 basketball courts, 4 tennis courts, and 1/2 mile Jogging Path. The 145-acre parcel is primarily wooded with wetlands and vernal pools. The woods reveal old logging roads and stumps that are clues to the land’s history. The western portion of this property encompasses part of Miller Swamp, the largest wetland in the Town of Wilton. Trail surfaces are forest floor and boardwalks. Primitive boardwalks cross several wetland areas. The terrain is flat. Expect areas of high water. The Neilmann Parcel is open to the public from dawn to dusk. Unleashed dogs, dumping, unauthorized vehicles, fires, camping, hunting, fishing, and trapping are prohibited. The Old Gick Farm parcel has more restored habitat than any other parcel in the Preserve & Park.Delegan Brook flows through the western portion of the Old Gick Farm. A designated overlook provides a wonderful view and hope of seeing a moose. Protected in 1998, the 136-acre Old Gick Farm provides wonderful opportunities to walk, cross-country ski, and snowshoe. New York State owns the Old Gick Farm. Railroad Run is a half-mile trail in Saratoga Springs connecting West Circular Street to Congress Avenue. Stone dust on one side and asphalt on the other, the trail is used for walking, bicycling, rollerblading and skateboarding. In June of 2013, after 10 years of planning, the trail was extended south across Route 50, and a crosswalk and traffic light installed, linking Railroad Run to the Saratoga Spa State Park for pedestrians, wheelchairs, and bicyclists. Plans are to eventually connect the trail to the Zim Smith Trail in Malta. The Rowland Hollow Creek Preserve is a ~45 acre preserve with 3/4 mile of trails that meander through a wooded area that includes an overlook of Rowland Hollow Creek. This preserve and trail are open to the public for nature study, walking, snowshoeing, and cross-country skiing. Please carry out all your trash and leave only footprints. Dogs must be leashed and under control at all times; please clean up after your pet. The Peerless Pool Complex consists of a main pool with a zero-depth entry, separate slide pool with a 19′ double slide and a children’s wading pool with a mushroom fountain. The slide pool has a minimum height requirement of 48″ tall. The Historic Victoria Pool is a smaller pool surrounded by arched promenades. Both pool areas include food and beverage services, showers, locker rooms and restrooms. The Saratoga Spa State Park Golf Course offers two beautiful golf courses; a championship 18-hole course and a challenging 9-hole course, complete with pro shop and restaurant. The gentle terrain offers picnic areas, shady streamside trails, suitable for the nature-lover or the casual walker, as well as certified running courses used by joggers and high school and college athletes. Winter activities include cross-country skiing on approximately 12 miles of trails, ice skating, ice hockey. Household pets only; caged or on a leash not more than 6 feet in length, rabies vaccination and proof of same required. Not permitted in buildings or bathing areas. Skidmore College owns a unique and valuable resource in its North Woods, a regional treasure of flora and fauna in an interesting complex of ecosystems. The North Woods is approximately 150 acres that is used by Skidmore and the Saratoga community alike. The woods are a place where people can connect with nature through meditation, cross-country skiing, walking, hiking, running, and also serve as Skidmore’s outdoor laboratory. West Side Recreation Park has multiple 1 baseball field, 2 Little League fields, 3 tennis courts, and 2 basketball courts. There is also a great shaded playground area with an interactive spray fountain, picnic tables, and playground equipment. The Yaddo Garden Association, founded in 1991, is dedicated to the restoration and preservation of the gardens at Yaddo. The Yaddo Gardens are open to the public seven days a week, from 8 a.m. to dusk. The gardens feature a variety of plants which peak throughout the season. The roses begin to bloom mid-June and are at peak from about the third week of June through July and then peak again mid to late August. The rock garden is in bloom mid-June through mid-September. The remainder of the estate is private and may be visited only on special occasions. Hudson Crossing Park is a recreational and educational destination where you can play, picnic, fish, hike, snowshoe, birdwatch, and more. Centered on the island between Lock 5 of the Champlain Canal and the Hudson River, the Hudson Crossing Park includes trails, scenic overlooks, interpretive signage, and a unique Play Garden, as well as a floating dock and a picnic pavilion. Fort Hardy – Schuyler’s Canal Park is the site of the British laying down of arms at the surrender of the British to the Americans. This was the first major victory for the Americans and convinced the France, Spain and the Netherlands that the tiny united colonies might just win against the most powerful army in the world.The site is now a quiet park that all may enjoy. It rests between part of the old Champlain Canal (a dream of General Schuyler), and the mighty Hudson River, a main avenue of trade in the 18th and 19th century. The Park is maintained by the Village of Schuylerville and is the site of many events during the year, from the Turning Point Parade in August to river contests, youth sport activities, and other recreational events during the summer, fall and winter. Stark’s Knob, named after Revolutionary War General John Stark, is one of America’s oldest science parks. It is a 460 million year old site created by an eruption of volcanic basalt in a pillow-like formation in the sea somewhere in the area of where the State of Connecticut is located today. Small fossil remains of prehistoric sea creatures have been found at the site and studied by geologists from all over the world. During the American Revolution, General Stark placed his cannon her to block Burgoyne’s retreat after the Battles of Saratoga. This site is owned and operated by the New York State Museum and is open daily to the public. Contact www.nysm.nysed.gov for additional information. Visitor Center open 9:00 AM – 5:00 PM daily, 7 days per week (except Thanksgiving, Christmas, New Year’s Day). Battlefield Grounds open to pedestrian (hiking) use 7 days a week, sunrise to sunset. Beautiful space for a hike, walk or bike ride. Cars are $5, hikers and bikers are $3, and an annual pass is $10. Nearly 15 miles of roads and wooded trails throughout the park, picnic areas and pavilions for large groups, there is enough open space to explore through out the year. Biking, running, walking, swimming, snowshoeing and cross-country skiing. Tour Road is normally open April 1 to the end of the first weekend of December, weather permitting. During this open season the road opens at 9:00 AM daily; closing times vary with the season, please call the Information Desk for details, 518-670-2985. You can even take a driving tour through the area and view the Schuyler House, the Battlefield, the Saratoga Monument, and the Victory Woods. The Old Gick Farm parcel has more restored habitat than any other parcel in the Preserve & Park. Delegan Brook flows through the western portion of the Old Gick Farm. A designated overlook provides a wonderful view and hope of seeing a moose. Protected in 1998, the 136-acre Old Gick Farm provides wonderful opportunities to walk, cross-country ski, and snowshoe. New York State owns the Old Gick Farm Trail. Approximately 1.5 miles of trails leading to the Little Snook Kill stream. Trails, walking, cross country skiing, snowshoeing, running…Located in Saratoga County, New York, the Wilton Wildlife Preserve & Park is part of the geologically significant Saratoga Sandplains. This area of ancient sand dunes, small but important wetlands and diverse ecological communities is home to the federally endangered Karner blue butterfly.